No, this isn’t Photoshopped (can’t afford that program), this is an actual screenshot. I am actually in flightform, on my druid, in Spires of Arak. How is this possible? Well, several days ago, I was in Ashran collecting artifacts so that I could turn in the daily quest for 1000 apexis crystals. I found a group looking to take on a boss mob. After the panther boss guy, our second boss take-down, I discovered that he had a legendary skill book in his possession. In Ashran, you can sometimes find these skill books that give you a temporary buff to one of your abilities, such as a 3min cool-down for rebirth. Well, this particular difficult-to-find item gives druids the ability to use flightform while in Ashran, at least that’s what it is designed to do. Just out of curiosity, I was wondering what would happen if I left Ashran in flight form. obviously what normally happens is that as soon as you leave a zone with a zone specific buff, it goes away. That’s what I was expecting to happen, but I tried anyway, and boy was I pleasantly surprised. I ended up leaving Ashran, after checking out the horde base there, and flew to Tanaan. Well, I couldn’t get in, since that zone is blocked off until some future update. I was able to fly to other zones. I ended up going to Shadowmoon Valley and flew to Talador, then Nagrand, and ended up in Spires of Arak. A bug, no doubt, and the visual image above is enough evidence of that. I had to get a pick of me in flightform, while looking like a ghost! It was so much fun to fly around in a game world where normally you can’t fly! At times, I worried I might get in trouble, but hey it’s not my fault. I simply found a bug. 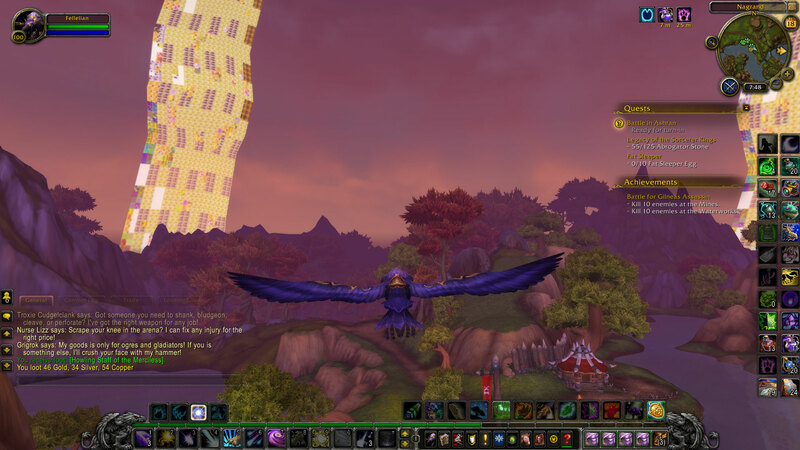 I flew around Horde and Alliance players to see if they would react. Finally, one alliance priest sent me a whisper asking if he had actually seen me fly. I told him how I did it, and we talked about how great druids are. 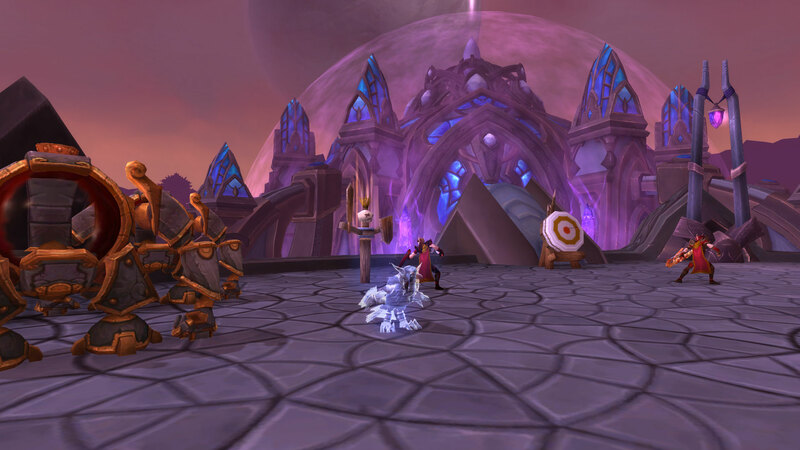 At some point, we will probably be able to fly in Draenor, probably once the next expansion pack comes out. I’m happy I got a glimpse of what that will be like!